Supplying Needs: 2013 IS FOR SURE THE YEAR OF NEW BEGINNINGS! 2013 IS FOR SURE THE YEAR OF NEW BEGINNINGS! This year has been a new beginning right after another. 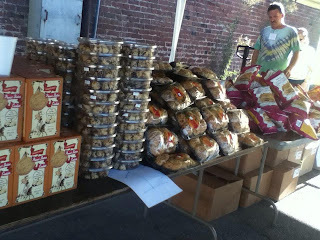 On May 3rd we started the Free Grocery Give Away. The first Friday we had 119 Families come out since then we have an average of 300 families every week. On our highest day we were able to give to 345 families. One Friday we had a brother and sister come out (5 & 7 years old) without their parents. They were skinny, filthy and looking for food. We were able to load them up with as much food as the brother could carry being that the sister couldn't carry anything that we handed to her. Not only do we offer food on Fridays but prayer. There is no pressure but we love to pray with people. A young man asked us to pray for a job for him. By the following week he came in a city bus uniform with sacks of bread. He told us he got a job as a bus driver. 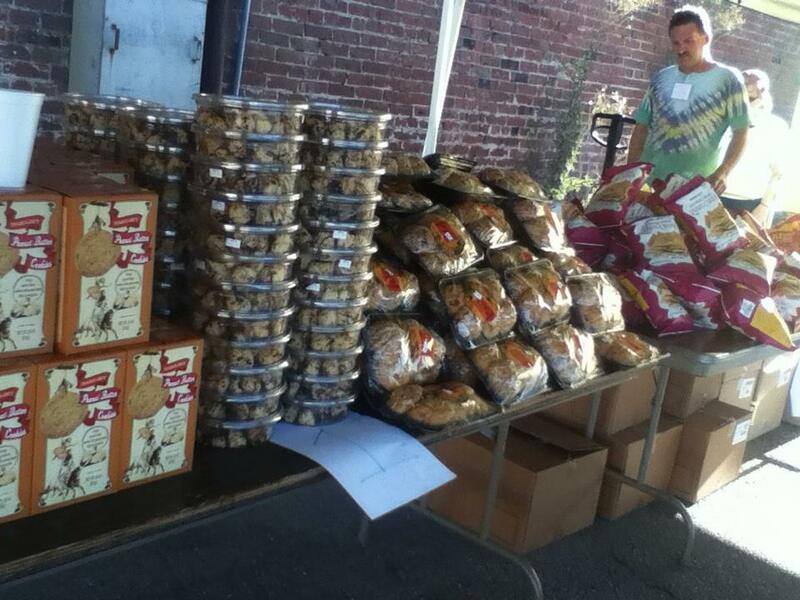 He had not been paid yet but with the rest of his money he bought loaves of bread for us to give away. He was grateful for the service we had provided for him the week before. There is a couple who went through the line sat down at our prayer tent and started eating hungrily a loaf of bread. For some of the people we give to we know it is helping them get by but for others it is their only source of food. A lady who had been coming for groceries opened up and said she and her boyfriend had been currently homeless and during that time lost everything in a fire including her adult children's phone number. A volunteer asked if she could pray that God would help reunite the family. As the volunteer prayed the word Facebook popped in her head. She asked the lady for her children's full name and last location. The volunteer looked on Facebook and sent out a few messages to people that filled the description. One gentleman wrote back stating that was His mother and he would be ecstatic to be back in contact with her. He then directed us to look for his younger brother on instagram. Two men lined up with the description and one wrote back so excited to know his mother is alive and well. So 2 out of 3 children have been found for the woman. Recently we just finished putting the Free Store together. It will be by invitation only for people or families who are in need. They will be able to come during a set time to pick out 5-10 items from the store, free of charge. It is ironic to say but because of the Grocery Give Away we are able to give more to groups. At the end of the Grocery Give Away we have other churches or groups who are helping their local neighborhood to come and pick up the left overs we have from the give away. Nothing goes to waste. Don't get me wrong we are still in need of companies to donate their non-sellable items to help us in our efforts to reaching the poor. With out the food we would not be able to be in these peoples lives that we are encountering week after week. We need produce, dry goods, baby food, canned goods, refrigerated and freezer goods, anything and everything to help the poor, hungry, and needy in Stockton. We also need volunteers. We start giving groceries away at 8am and our gates close at noon so from any where between 6:30am - 1 pm we would love to have help. Any time you could spend would be a blessing whether an hour or the whole time.